Micron Technology (NYSE:MU) is a U.S.-based semiconductor company, producing innovative memory and storage solutions. The company generates revenue from three primary sources – DRAM (dynamic random-access memory), NAND and Other Products. 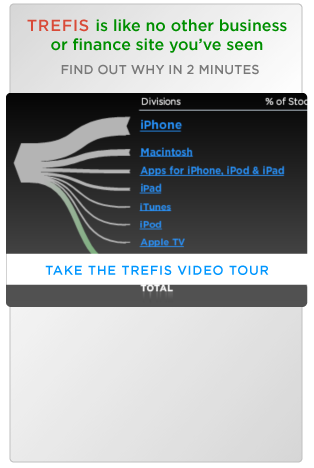 The DRAM division constitutes roughly 65% of its total revenue, while it accounts for around 70% of its value, according to our estimates. Given the strong demand for memory and storage products, we expect that Micron’s DRAM division will continue to drive its value in the coming years. Micron’s DRAM products are high-density, low cost memory devices that provide high-speed data storage and retrieval. These products are used in specialty markets in networking devices, servers, consumer electronics, communications equipment, computer peripherals, automotive and industrial applications, and computer memory upgrades. 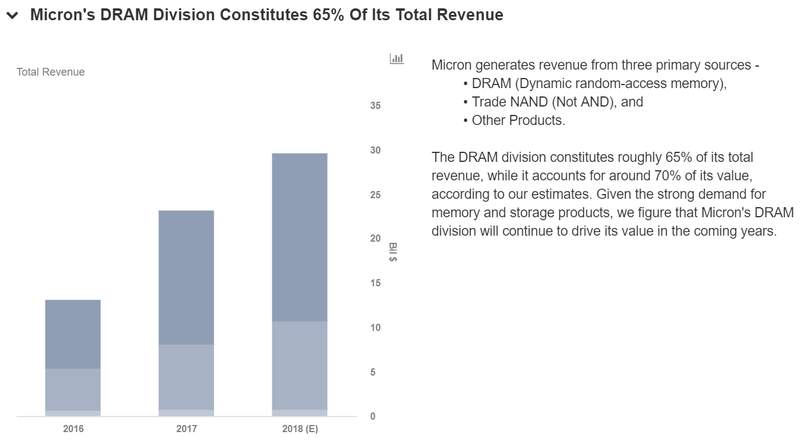 As new and innovative technologies such as cloud computing, big data, and artificial intelligence take over the market, Micron’s DRAM division, backed by its innovation and solid execution, is likely to witness a strong boost from this growing market, which will drive its value in the future. You can view our valuation for Micron technology based on its P/E Multiple on our interactive dashboard. Feel free to adjust the base inputs (blue dots) to see the impact on Micron’s revenue, EPS, and price estimate.